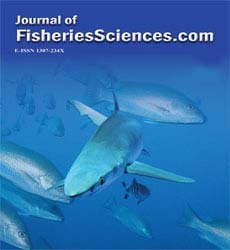 In this study, sand smelt production capacity of Iznik Lake, economical analysis of fisheries and socio-economical structure of fishermen was investigated. There are four fisheries cooperatives, two in ÃÂ°znik and two in Orhangazi, active in the lake. Length of fishing boats used varied between 6.00 to 9.00 meter and all of them are motorized. Sand smelt fishermen ages ranged between 27-64 and among them 63.33% graduated from primary school, 20.00% from secondary school, 10.00% from high school, 6.67% from university. Fishermen can be categorized in two groups of dependence on fisheries. First group (33.67%) is belonging to high dependence group since their income is originating only from fishing and second group 63.33% is earning money from both fisheries and agriculture. 73.33 % of fishermen have a social security. Catching capital of fishermen in the lake consists of boat (45.45%) and fishing gear (54.55%). Calculated gross income from fisheries activities is approximately 36 167.00 and costs are 25 650.00 YTL for per fisherman. As a result, sand-smelt fishermen of the lake are working in a more professional way than fishermen of other lakes.